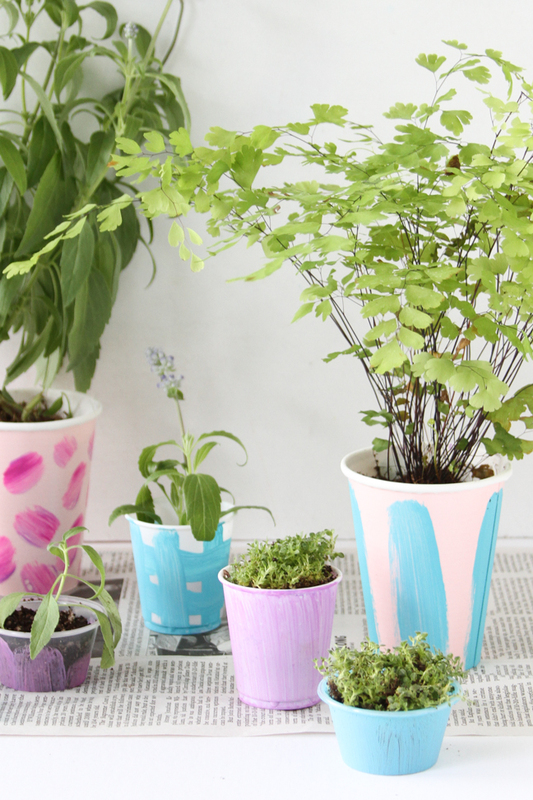 This easy indoor gardening project is the perfect DIY to get kids involved in. 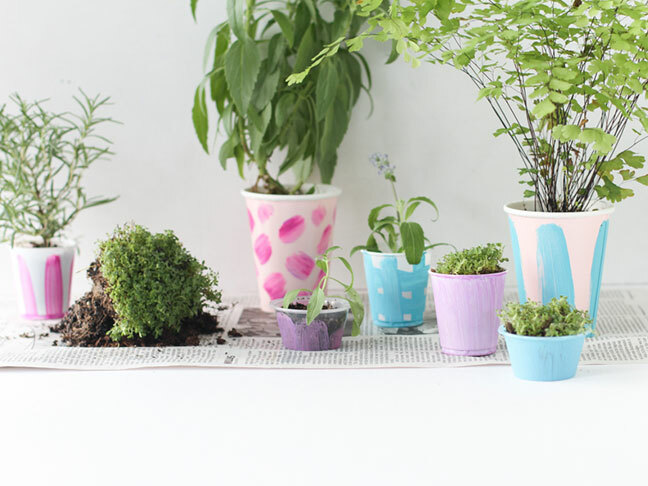 They’ll enjoy helping decorate these tiny starter pots for plants and can watch their plants grow and grow, just as they do. But the best part? 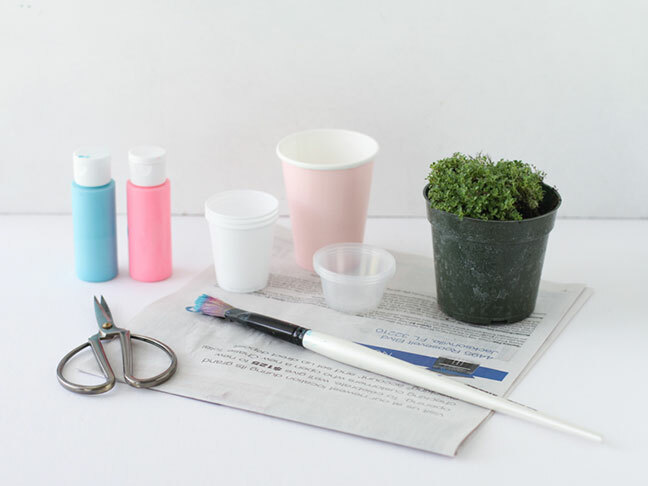 Scavenging for craft supplies is as easy as walking into your pantry because these potted plants are contained in various sizes of paper and plastic cups. *If you don’t have paper and/or plastic cups already, you can easily pick up all the cups you’ll need during your next trip to the grocery store. Step 1: Start by poking holes in the bottom of each cup for drainage. You can use a pair of scissors to poke the holes. 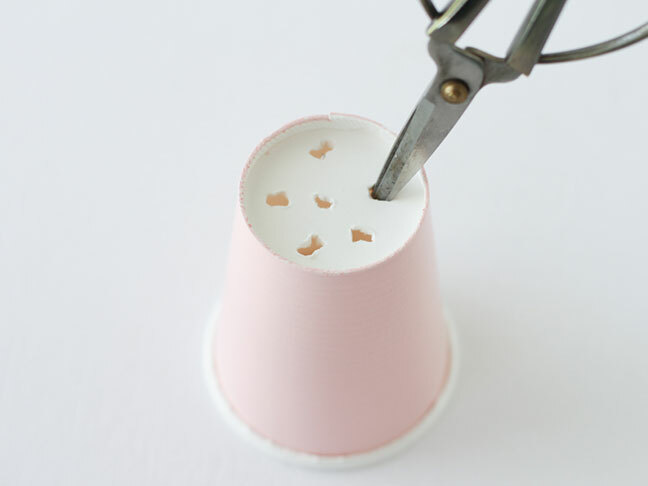 Just flip the cup upside down, poke several holes with the pointiest part of the scissors, and turn the cup back right side up. The hole poking should be completed by an adult. Step 2: Next, it’s time for the fun part. 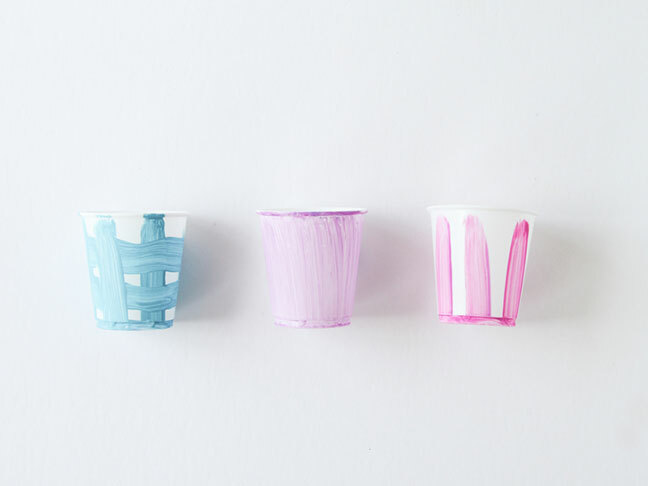 Decorate each cup with acrylic paint and a brush. There are plenty of easy designs that can be created, from stripes to plaids to polka dots and more. Kids always come up with the most imaginative patterns and abstract paintings, so let their imagination run wild. 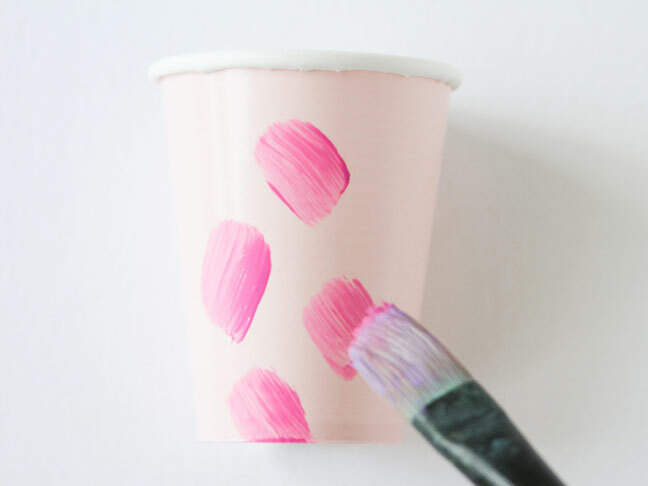 Once each cup has been painted, wash out your brush and set aside the cups until dry. 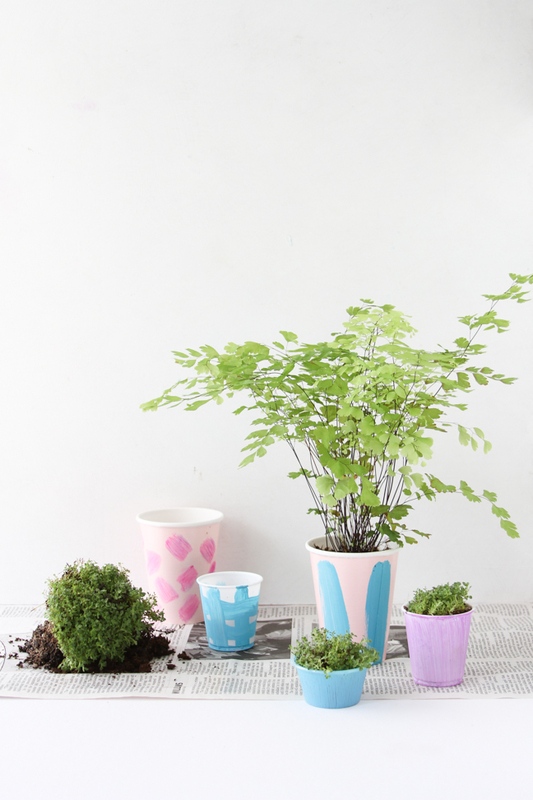 Step 3: Next, add a little potting soil to the bottom of each cup, before adding small plants and/or herbs that you can pick up from your local gardening center. 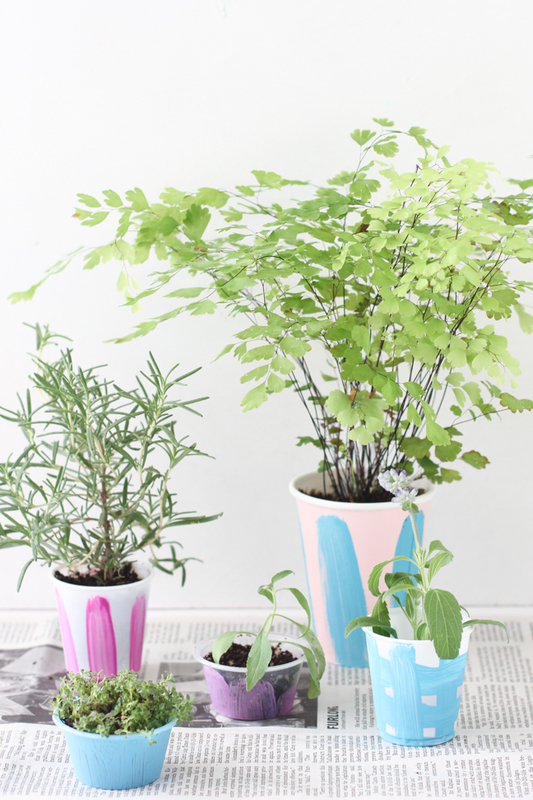 Or if you prefer, add a larger amount of potting soil, place seeds into the containers, and watch them grow over the coming weeks. Water as necessary. 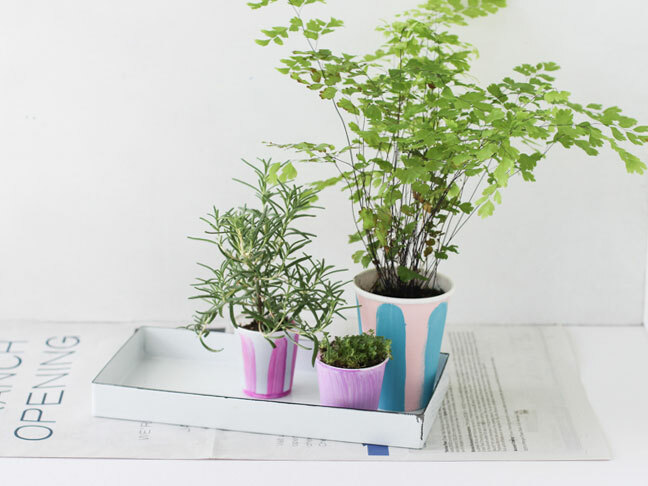 Step 4: (Optional) To keep any excess water or dirt contained, place a tray underneath your newly potted plants. Once the plants outgrow the containers they were started in, you can transplant them to your backyard or a larger container. Easy as can be. 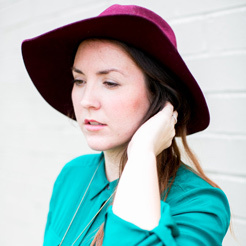 Brittni Mehlhoff is an editor and craft stylist, currently living in the sunshine state. Her DIY lifestyle blog, Paper & Stitch, has been named one of the 12 most beautiful creative blogs on the internet by Bridgette.de and her work has been featured in the pages of Country Living, Uppercase, Woman's Day, Mollie Makes, and more. 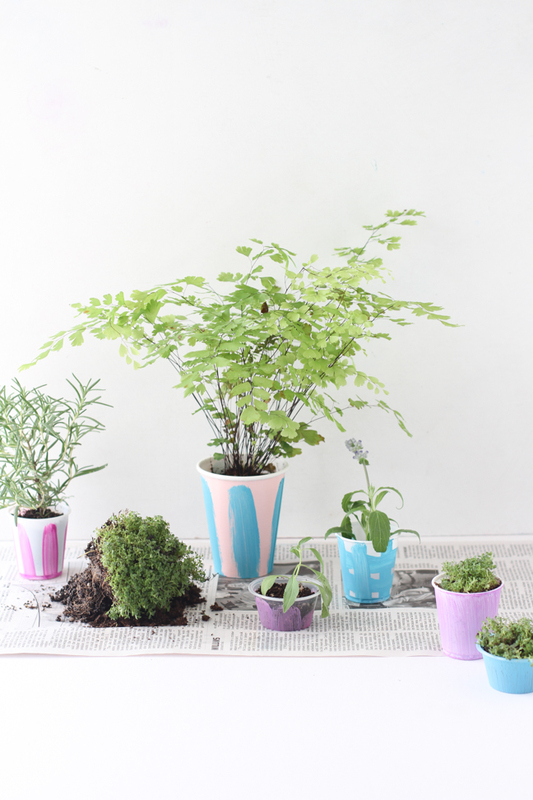 You can follow her pins on Pinterest for DIY inspiration and more.